Do you believed that, water can be used to run a car? I know it's neither a latest invention nor a new technology, It was already known for long time (since 1992) but I am wondering whether you guys knows about it. 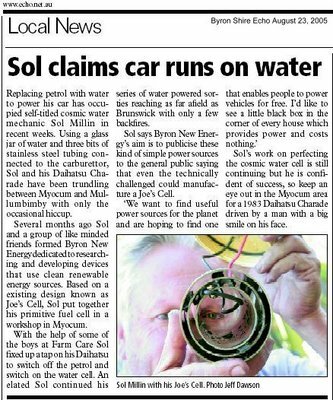 If this works I believed, one day the water will be replaced Fossil oil to run our autos. Sound interesting? Some tips for DIY too. There are some video clips on these website, so don't missed it.